We are truly a strange and quirky breed. We’re obsessive and overly protective at times because our love for music overtakes us on a daily basis. And just like the human species, there are all kinds of species of music journalists. Some of us are overly social while others are extremely anti-social, and some are in-between. Some have no qualms about public displays of self-expression and others are uptight and overly self-conscious. But no matter how we express ourselves, or interact with the world around us, we all share a common goal. The reason why we do what we do is because we love music (live or recorded) so much (maybe too much) that when we’re faced with a moment where we can share our love for music and immense amount of music knowledge with the world, it can be a strange site to behold. And often our love for music interwines with our love for other forms of entertainment culture, such as movies. So when those two passions combine, the results can produce some strange albeit funny and humorously entertaining behaviors that those around us might not understand, and equally not want to take part in–no matter how much we appear to be enjoying the moment. Why the heck am I telling you all this? Why am I explaining such a personal and sometimes taboo topic? 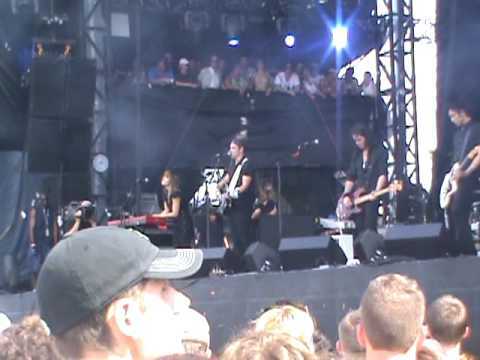 Well, when I read this review of Lollapalooza 2009 by a fellow music writer Drew Fortune, his description of a moment during The Airborne Toxic Event’s cover of Q. Lazarus’ “Goodbye Horses” describes exactly what can happen when geeked-out and “nerdy” music journalists get the right song flowing into their ears during a live concert. Moments like the one documented above can trigger a moment of self-expression and love for a song. And Drew’s review painted a picture in my mind that has stuck ever since I read it. With no video from Drew I had to explore other options because, though the image was burned in my mind, I couldn’t share it because the technology does not (yet) exist for me to transmit the image burned in my mind to this post. I had to find other sources. I had to find an image that worked to illustrate this important moment in music journalism self-expression history! So I cruised YouTube for a bit in search of a video to see if anybody else had captured the moment at Lollapalooza. And to my surprise I found NO videos showing fans at any The Airborne Toxic Event shows (“Goodbye Horses” is a popular cover song for them live) dancing in a way to recreate that same Buffalo Bill scene. 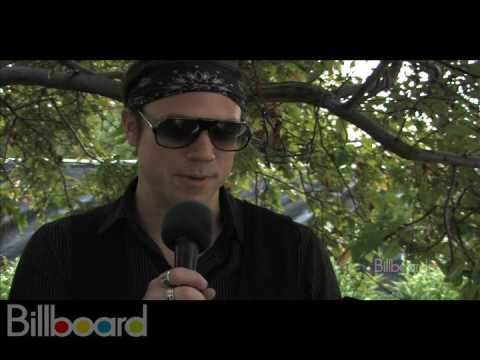 I found videos of fans recreating the scene in other ways (see Lollapalooza Contest video below) but not during a live concert, or during a The Airborne Toxic Event concert. So, sadly, I have no videos or visuals of this moment to share with you on this post. So without any pictures or videos to share. I turn to YOU (fans AND music journalists). How do you express yourself when a band plays a song live that triggers emotions you felt when you watch a classic movie like Silence of the Lambs? Do you tuck and slap on the lipstick, or just hold it in and bob your head and express yourself vicariously through the expression of other, braver and less inhibited fans, or nerdy music journalists? Can Animated Sketch Comedy Enhance Live Concert Reviews?